Successfully Added Mobile Phone Solar Charger - Portable Green Power Supply to your Shopping Cart. Compact mobile phone solar charger model CVSBS-5603, popular green power supply for powering your cell phone while away from home. Cellphone portable solar charger for popular mobilephone brands. This well designed metal-cased charger is ideal for the person on the go or anyone planning an extended trip. The pocket sized charger can fully recharge popular brand cellphones in under two hours. It can also be used to recharge other devices that use a mini-USB connection. This Portable Green Power Supply has a high capacity (1350mAH) internal battery that can be recharged by solar, computer USB, or a standard AC outlet. Purchase stock to put in your store to sell along with your phones or feature in your online store. 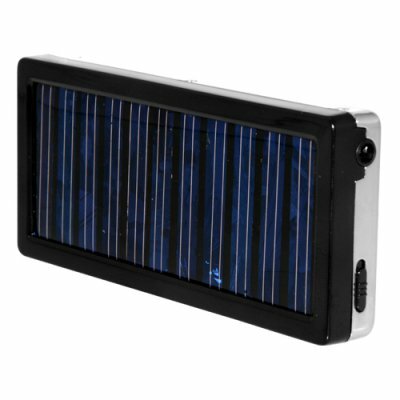 The CVSBS-5603 is the perfect accessory for the cellular and solar gadget re-sale market. Can be used to charge all Nokia phones, many models of Samsung, many models of Motorola, some Sony-Ericsson models, most HTC models, all Oppo models, and all mobile phones that use a mini-USB connection. Check the product pictures to see if the provided connectors match with your phone.